For the past several decades, America has been at war—not a war of bullets and politics, but a war of economics that takes just as deadly a toll on its citizens. Though unlikely soldiers, financial analysts could hold the key to victory. 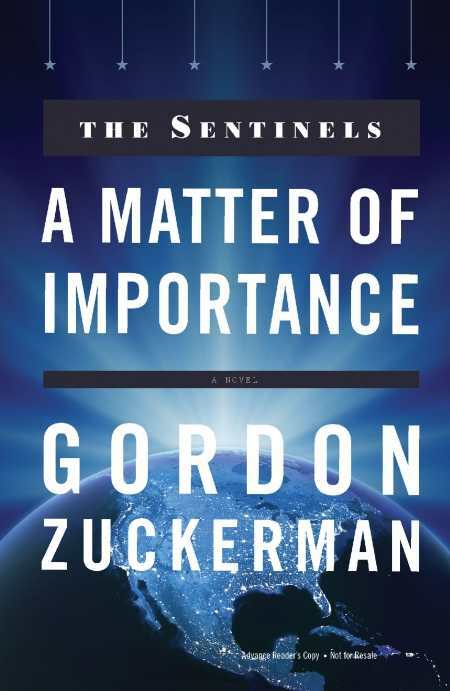 In A Matter of Importance, Gordon Zuckerman presents an optimistic tale about a small group of brilliant economists, known as the Sentinels, who tackle the battleground of today’s failing economy. When US Motors invites Charley Hutson to “keep its car production onshore and replicate the manufacturing costs offered by the Chinese government,” he has no idea that his proposal will endanger his friends. Every time he makes progress, his enemies attack. It soon becomes clear that drawing business back to America also means withdrawing business from other countries—and some of them, like China, aren’t willing to lose their share of the market. Woven around economic principles that involve the Big Five (industrialists, sovereign oil nations, regional power generators, insurance, and big labor unions), A Matter of Importance explains the US economy in layman’s terms. At the same time, it offers an exciting adventure. Though fictionalized, many of Zuckerman’s ideas offer suggestions for solving the country’s deficit crisis and getting American workers back on their feet. For example, he proposes creating a large-scale industrial campus that offers room and board to its workers so they can send most of their paychecks back to their families. The novel is entertaining, but the quality of the writing is uneven. The action is fast-paced, skipping from explosions that destroy evidence to the discrediting campaign designed to ruin the Sentinels’ reputation. However, much of the story is told in the passive voice, which detracts from its urgency. Although the story revolves around a main cast of seven characters, there is no main character. Initially, the tale focuses on Madam Cheng, a founder of the Sentinels, but attention soon switches to Charley. A Matter of Importance could be Charley’s story, especially since his romantic arc is wonderful, but he doesn’t seem to be central to any of the important economic discussions. Instead, Robin and Claudia lead public opposition, while Larry manages most of the armed defense when they go overseas. Still, everyone works as a team to accomplish an extraordinary goal—a goal that would make America self-sufficient while still retaining its global market presence. Thoroughly patriotic yet globally responsible, A Matter of Importance is a valuable read for everyday Americans seeking to understand mass layoffs and gross domestic product as well as for philanthropists looking for worthy ways to improve the economy. Zuckerman even includes a section at the back of the book, “Questions and Topics for Discussions,” that will help readers or reading groups establish their own opinions and plans of action.